Getting to the top of Page 1 on Google: Every business wants to be there, but few of them make it. While getting to the very top of the search engine results for every possible keyword is an unrealistic expectation, it is reasonable to set a goal of ranking higher on Google than you do today, and honestly, its completely reasonable to set a goal of getting a couple keywords to rank in the top 3 for many businesses. The higher up you appear, the better your chances of getting seen by potential customers and making those sales that are so crucial to your livelihood. With more than 63,000 searches per second, there’s ample opportunity to make a mark if you’re in the right position. How Much Does it Matter to Rank in the Top 3 Positions on the SERP? Everyone wants to be #1, right? When it comes to positioning in the Google Search Engine Results Pages (SERPs), one look at the data and you can see exactly why people want to be numero uno. If you look at the graph below, you’ll see something interesting. Billions of results exist for a query. Over 30% of traffic goes to position 1. As of 2019, Google commanded nearly 93 percent of the global market share of consumer searches. Page 1 of Google features ranking positions 1 through 10, as well as a smattering of Google Ads, Google Maps modules, sales ads, and rich snippets. While some of the searchers for a given keyword may click the rich snippet results or follow a link to a Google Ad, most prefer to click on the organic results. Whether it’s a distrust of advertised results or simply that the top position’s title is more enticing, position #1 in Google commands a click-through rate of more than 30 percent on desktop searches and more than 23 percent of mobile searches. In other words, for every 100 searches for a specific keyword on mobile and desktop computers, more than 30 of those desktop searchers will choose the first organic result, as will more than 23 mobile searchers. Those click-through rates are cut about in half as you move into position 2, and that is cut by a further 40 percent when moving into position 3. If a customer’s lifetime value to your business is $1,000, that’s the difference between making $30,000 from 30 desktop searchers if you’re in position 1 to $15,000 in position 2 and $10,000 in position 3. That’s a pretty big difference in revenue. The click-through rates fall off even farther as you move to Page 2 and beyond on Google, with traffic moving to near zero. If your website doesn’t appear close to the top of the SERPs, you’re far less likely to be found by people who may become loyal, high-paying customers. Ranking higher on Google isn’t an exact science, and there isn’t a quick route to the top. If there were, elite SEOs wouldn’t be paid 100k+ to do their job. Instead, through steady effort, careful planning, and attention to the duties that move the needle, you can move up the SERPs and get more traffic to your website. 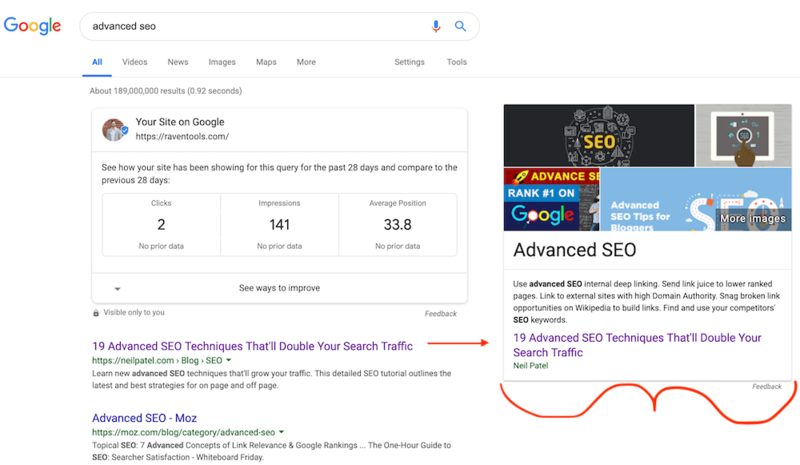 This is the absolute first thing you must do to improve your positioning in the SERPs, and it could provide some quick wins that will help you rise and give you a little boost of confidence in your SEO skills. 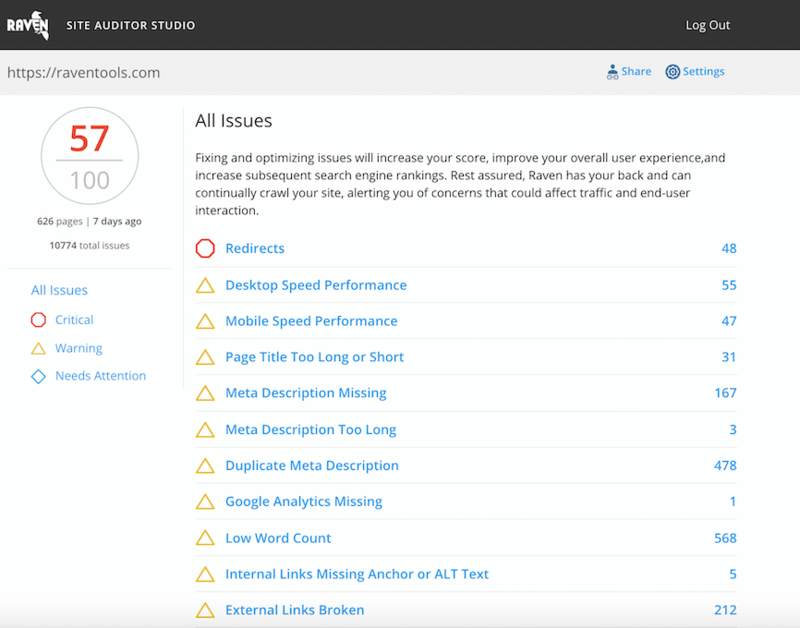 Doing an audit of your website will help you see if there are any problem areas that could impact your website’s ability to gain, maintain, and convert users from searchers into customers. Fixing any glaring problems that you find doing this audit can make a big impact and help your positioning faster than any of the slower methods. As a side note – just about all of these things are explained in some detail in our advanced SEO techniques article. If anything needs further explanation, we recommend you hop on over. These issues affect how searchers find your website, what pages they see, whether they can access those pages, and whether or not Google views your site as spammy. When business owners think of bringing more traffic to their websites, they often think about looking for keywords that they don’t already rank for but which may be useful. However, it’s often far easier to improve your rankings for a keyword you already rank for than to jump into the SERPs with a new keyword and begin ranking well. 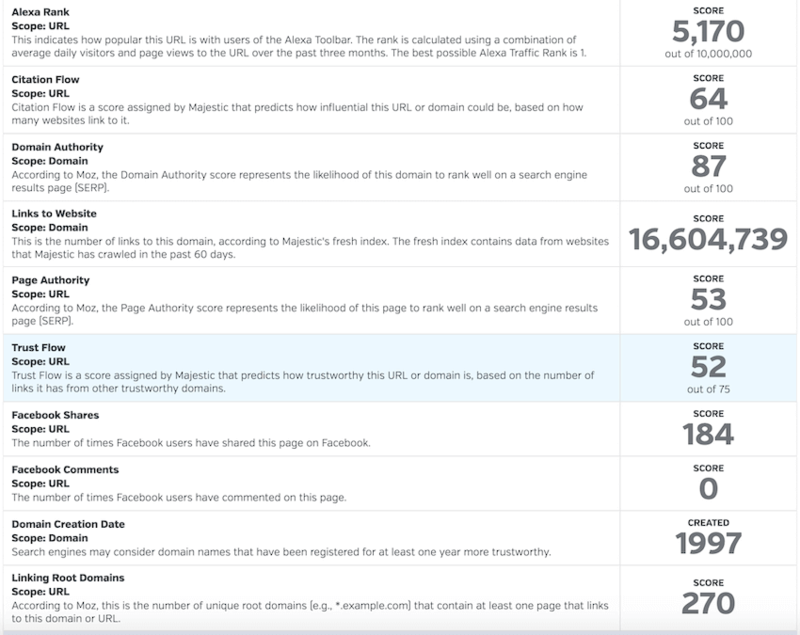 We’ve written two applicable posts for this one – How to Monitor Keyword Rankings, which goes into greater detail of using a SERP tracking tool, and my personal methodology for modern keyword tracking and keyword strategy. If you already have it configured and have been generating traffic for a while, start by digging into your Google Analytics and finding the keywords that have brought users to your website. Navigate to Acquisition > Search Console > Queries – and change the date range as far back as you’d like to view. Once you populate a report, it will show you the keywords that are bringing people to your website, along with the number of people who visited your site after typing in that keyword. Google Analytics, however, doesn’t show you the average search volume of those keywords, making it difficult to determine whether the keywords you rank for are valuable. You can see how many “impressions,” or times your result showed up in Google, for a given keyword, but that isn’t an accurate representation of average search volume. Information on what keywords you rank for, what position you show up at, and the average monthly search volume of those keywords is easily accessible using specialized SEO research and tracking software such as Raven Tools. One of the neat features about Raven is to see the ranking sites metrics. This software allows you to see current rankings and average search volume all in one area, making future decisions easier. When going over this data, find the keywords for which you almost rank well and that have decent – but not sky-high – search volumes. These will be the keywords that you’re most likely to make some headway with. After you’ve determined which keywords you want to target for improvement, track the keywords to individual pages on your website. If you’ve done your work correctly, the changes you make should give your positioning for the keyword a boost. If you want to rank higher than your competition, you have to understand what your competition has done to get them to their position in the SERPs. Conducting some competitor analysis can help you figure out what your competitors are doing that you’re not, and what they may be leaving out that could give you an extra edge. If you don’t have access to SEO research software such as Raven Tools, your competitor research will start right within Google. Begin by searching for a term that’s important to your business. See where you rank in relation to your competitors. If you have more than a few other businesses ranking higher than you, click on the first three company links and take a deep dive into the page that shows up. Is their content more complete than yours? Do they mention the focus keyword more times than your page, or fewer times? Are there images, videos, or other engaging elements on the page? Note everything that seems significant so you can look for ways to work those changes into your content. With the above example, I can show you two major things. 1. I know some stats about my week old post from search console data. That’s helpful. 2. I see that the above the fold view of the SERP is dominated by Neil Patel. He acquired a knowledge graph of sorts. You can read “how to acquire knowledge graph” on blog posts, but I like to dig into the structure of a web page to really see what they’ve done. This post has 600+ comments, tons of shares, and you’ll see in a second how it fares from a deeper analysis. If you have access to SEO research software, think of your closest industry or local competitors. Type one competitor’s URL into the search bar and take a look at the data the software pulls up. When you’ve made your custom metric tool, you can plug in the competitor URL that is ranking for your target term. When you’ve generated the data, you can export into a PDF and you have an instant analysis of a competitor based on the metrics you believe to be most important. Each SEO has their own particular weight they attach to a metric, so we give the ability for SEOs to change the way they weigh a metric so they can get a fully accurate score. 78/100 is very very difficult. You win this time, Neil. The next step is to evaluate the keywords they rank for, their positions for those keywords, how many individual pages their website has, how many backlinks they’ve received from other websites, and any other data that you may find significant. Compare this data with information from your own website. For backlinks, a bunch of tools exist to find these, but for our example, I’ll just show you Raven’s Backlink Explorer, powered by Majestic. If they have a faster page loading time, more content, or a more robust backlink profile, for example, then you know to start with improving your website in these areas to bring you into competition with the other businesses. As you looked into the keywords your website currently ranks for, chances are you found some strange search terms that are bringing traffic to your website. Part of the key to matching your website with the right users – and improving your SERP rankings in the process – is choosing and using the correct keywords. To find the most qualified prospects for your business, you have to be sure you’re targeting the right keywords. For this, you’ll take the information you’ve already collected from looking at the keywords you’re ranking for and those your competitors are ranking for, and compare them. Are there keywords your competitors rank for that are valid for your business, but that your website doesn’t rank for? These are going to be the ones that you are likely to make the most headway with as you work on your website. If, for example, you paint homes and businesses for a living. Your competition ranks for “painting wooden siding” but your website doesn’t. Wooden siding painting is a service that you offer, so being able to bring some traffic and get some new customers in this area would prove beneficial to your business. Ranking for a brand new keyword takes more time and can be more volatile than improving a currently ranking keyword, so be patient and reevaluate your tactics in a few months if you don’t see any real movement. Content is more than just the words on the page; your website’s content has to be helpful, relevant, and timely in order for it to make a dent. Enormous amounts of content are created online every day, with some estimates saying more than 4 million blog posts are published each day. But online content is far more than just blog posts. Tweets, news articles, YouTube videos, and infographics all are helpful, relevant pieces of information used by searchers, and they’re all published by the truckload daily. How do you cut through the noise to make sure your site is as valuable as possible? You make sure your customer always comes first. Don’t write for yourself, or your competition, or the search engines. Doing any of these will cause you to become nothing more than another bit of white noise on the internet. Anyone can talk about how long they’ve been in business, or how many years of experience they have in the field, or what they offer their clients. Instead, shift your focus to your audience and their pain points, and you’ll provide the helpful, relevant content that’s necessary for ranking higher on Google. As you’re developing your content strategy, think backward in the process and always keep what your customer needs at the forefront of your mind. If you want your customer to call you to book an appointment after reading a blog post, for example, begin thinking about planning your content from that standpoint. What does your potential customer need to know and believe before they make that call? Find ways to answer potential questions your customer might have about your product or service, or show how your offering can solve a problem they may have. Present specific examples and use language that will foster an emotional connection with your audience. Your website needs two major kinds of content in order to provide that crucial information and bring in keywords that people are using to search. These pages can be anything from your website’s homepage to a page targeting a specific location where you want to sell your services. These pages are going to be 100 percent focused on your customers and their needs. The copy on these pages needs to have a good keyword density – about 1-3 percent of the total word count – and length without being too wordy. Each page needs to have some subheadings (H2 and H3) and make use of short paragraph structure and bulleted or numbered lists where appropriate. This helps your readers more easily digest the subject matter, making them more likely to stay on your page and read your content. Check the websites of your most successful competitors and base your pages off what’s presented in their sites. If you find you have lots of potential smaller sections, such as descriptions of conditions you treat as a chiropractor or things a homeowner may notice that leads them to purchasing new windows, create a bulleted list and make a plan to write individual pages for those items later. This is called content siloing, and it helps your site build authority in your niche while also helping the search engines more fully understand how all the pages on your website relate to one another. A common misconception about a business blog is that it’s meant to be solely focused on promoting the products and services sold. While there certainly is a time and a place for self-promotion in a company blog, providing helpful information to readers is far more important. Google loves seeing websites that offer EAT – Expertise, Authoritativeness, and Trust – to users. Part of building that EAT is by providing information that is useful to users without directly selling a product or service. If, for example, you run a chiropractic office, you can certainly create blog posts about your clients’ success stories or that awesome conference you and your team attended. But your blog – and, in turn, your website – will gain far more users and climb the SERPs if you also write about how to find a mattress to avoid back problems, or whether or not your child’s backpack is hurting their spine. Users who are searching for the answers to those questions, whether or not they’re looking for chiropractic care at the moment of their search, will arrive on your website to read those articles. If they’re helpful and interesting, they may stay to read a few more or check out specific information on your practice. They may book an appointment on the spot even though they weren’t intentionally looking for a chiropractor when they sat down to search, or they could keep you in the back of their mind for a time when they do need an adjustment. Either way, your blog has proven helpful to them, and Google uses the data from that user’s session, such as time spent on page or number of pages visited, to determine your position in the SERPs. The more people who visit and find value in your site, the higher Google will rank it. Google loves seeing fresh content posted to a website. It shows that the site owner cares about the website and is putting in the work to build their business. But publishing something just for the sake of meeting some arbitrary “We must post X number of blog posts per month” is more likely than not going to backfire. You want to make sure that any content you publish is as well-written, relevant, and well-optimized for your audience and business goals as possible. Cranking out a blog post just to get something on the site without taking the time to be sure it’s the best piece you and your team can create won’t meet these goals. For many businesses, publishing twice a month is plenty. Other industries, however, may need to post once or twice a week to keep up. Check what your competitors in the industry are doing and find a schedule that balances both not falling behind and publishing too infrequently with maintaining your ability to produce high-quality content each and every time. Social proof is everything in the online business world today. According to Statista, 36 percent of internet users age 25 to 34 check online reviews before making a purchase. This number is expected to rise as more people become accustomed to navigating online review platforms and as overall trust in online reviews increases. Because customers place a high level of trust in reviews of a business, Google does consider a business’s reviews as a ranking signal, meaning improving your review profile can help you rank higher. If your business doesn’t already have online reviews on platforms such as Google and Facebook, or on industry-specific sites, you need to develop a plan to begin soliciting them from customers. And if your business already has reviews on these sites, work on getting more. Many people feel uncomfortable asking customers to leave reviews, but directly requesting the courtesy of a review is an incredibly powerful tool. Create an internal process for asking for reviews. If you are a service-based business, having the job’s project manager or contractor ask the customer for a review during a final walk-through or at the time of payment is helpful. Make it easy on customers. When asking for a review in person, create a card with instructions on how to leave reviews on your platforms of choice that you can hand out. For email requests, such as with shipping notices or care instructions, include specific instructions with links directly to your review profiles. You can even send the links and instructions in text messages if those are part of your regular client communications. Respond to reviews – good and bad. Customers like seeing that the business they want to spend their money with maintains contact with the people who take time to leave them reviews. If you take the time to thank customers for leaving a review and offer to make right any issues they may have had with your business, potential customers will see that you care about your customers and your reputation. Don’t confront negative reviewers. While responding to negative reviews is necessary, you have to be careful how you respond. Don’t attempt to talk down to or correct the reviewer publicly on your profile; instead, encourage the person to reach out to you by phone or email to discuss the problem. Never incentivize reviews. It’s against Google’s rules to incentivize reviews – even offering a coupon code or entries into a drawing in exchange for a review – so don’t do it. If Google finds out, you can have your entire Google My Business listing taken down, causing extensive harm to your attempts to rank higher. The internet is full of citation sites both for businesses in general and specific to industries. These citation databases are sort of a modern phone book for business; some users visit them when beginning to search for a company. Because these sites often rank relatively well in the SERPs, getting your business’s profile claimed and optimized on as many reputable sites as possible is a great way to help your name appear more often in the SERPs. The first site you should claim and optimize is Google My Business. As the name states, Google My Business is run by the search engine giant itself, so the information on your profile here weighs a little more than on other third-party citation sites. When claiming your Google My Business listing, use your official business name. If you operate multiple locations, only use the business name for each; don’t add “Main Street Branch” or “Northwest Location” to the name. Google is smart enough to differentiate between the addresses of a multi-location business, but adding in branch names to the business name makes it more difficult to determine whether the businesses are linked together and can cause problems with ranking your website. Upload a high-quality picture of your business to get started; you can add more later. Consider also adding information such as your main services offered or the price range of your products. This just gives Google more information about your business and helps boost your rankings. Once you’ve gotten your Google My Business profile set up, work on getting some of those other citations from local business directories, large database websites, and industry-specific sites. When creating or confirming a listing, check that all your information is correct and consistent on every website, especially what’s called NAP – Name, Address, Phone Number. Errors in these listings can cause confusion for search engines and, as a result, can negatively impact your rankings. One of the best ways to help your website rank higher on Google is to reach out and get links from other websites. I highly suggest you read Eric Ward’s book on Link Building. Ward was the one that Jeff Bezos went to when he launched Amazon. Ward is the Godfather of link building, and I can’t recommend him enough. We’ve also written up our guide that digs into backlink analysis with Raven Tools. I suggest both resources. Moz and Ahrefs also have some solid articles on the topics. While it may seem counterintuitive that a link on another website can impact how your website ranks, Google sees backlinks as small votes of confidence in the information and service you provide. If another business values your information or what you have to offer enough to put a link to your website on their own site, then the search engines think you must have something that’s worth taking notice of. Not all of these backlink types will be valid or valuable for every industry, but working to collect some links from other businesses can help your website’s rankings in a big way. Offer the website’s owner a backlink in exchange. Many business owners will be more receptive to putting your website’s link on their site if you’ll return the favor. Create valuable shareable content. Infographics, downloads, and videos are all exceptionally shareable sources of content, meaning you’re more likely to collect backlinks from these types of content than a straight written blog post. Leverage your current relationships. Reach out to business owners and industry leaders with whom you already have an existing relationship and mention that you’re looking to improve your website’s rankings. Pair your existing relationship with them with the offer of a courtesy link and you may be surprised who responds. Think outside the box for press releases. Do you provide exterior home renovation services? Write a press release about exterior home maintenance tips for spring, include quotes from your owners, and send it out to local news outlets with your contact information. Slow news days mean reporters need to get creative, and they may just reach out for an interview or print your press release in full, with a backlink to your website in their online version. Backlink building is big news in the SEO industry, with many people claiming they can provide “high-quality, high authority backlink building services” for cheap. Be wary of these champagne promises at beer prices. In many cases, the links that are bought are spammy or use methods that don’t really matter for your rankings, such as posting comments on other websites, or the person never even builds any backlinks at all and runs off with your money. Link building can be time-consuming and frustrating, but taking your time to do it correctly will pay off in the long run with improved traffic and better rankings on Google. Getting to the top spot on Google is a great goal to have, but with hundreds or even thousands of businesses competing for the top spot on some keywords, that may not be a reality for everyone. However, by taking the time to make some tweaks and additions to your website, you can improve your rankings and break the first page of Google, putting your business in front of more people who may turn into loyal customers.